When his novel The Satanic Verses was published in 1988, Salman Rushdie incurred the wrath of those Muslim clerics who wanted to be offended by his playful speculations about the origins of Islam. Early in 1989, the Ayatollah Khomeini of Iran declared a fatwa against Rushdie – in effect saying that good Muslims had the right to kill him for blasphemy. Genuinely fearing for his life Rushdie, an Indian-born British citizen, was for over a decade under British police protection, shifted from undisclosed address to undisclosed address before finally settling in a house near Hampstead with plate glass windows. For security purposes, he also had to adopt a pseudonym in his everyday life. He chose “Joseph Anton” in honour of Joseph Conrad and Anton Chekhov. The cops protecting him called him “Joe”. 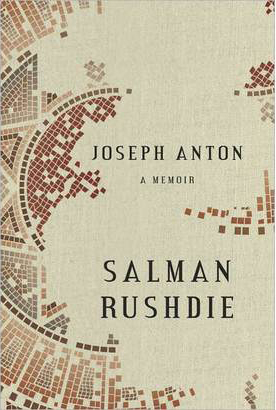 Joseph Anton is Rushdie’s long (over 630 pages) memoir of those years. It is written in the third person, partly because Rushdie says that Joseph Anton was not him, but a character he was forced to become in the years when he was threatened. Now that the fatwa is effectively over, he can look back as if contemplating somebody else. All this you will already know from news reports and recent interviews in the media. I regret to say that in “reviewing” this book (not only in New Zealand but overseas), many newspapers and magazines did little more than cover it as a news story. Author interviews or background profiles substituted for critique – perhaps easier for some “reviewers” than ploughing all the way through a long text. Having dutifully ploughed my way through it, I now give Joseph Anton the compliment of looking at it critically. 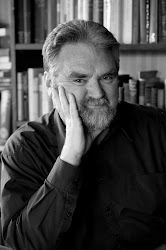 He is fully aware that the international ruckus stirred up over his book endangered not only his life, but that of his publishers, printers and supporters. The Italian translator of The Satanic Verses was beaten and stabbed (but survived). The Norwegian publisher of The Satanic Verses just survived a shooting. The Japanese translator Hitoshi Igarashi was actually murdered. People died in riots that Muslim clerics encouraged. At one point in the years of the fatwa, Rushdie wavered in his resolve to stand by his book and its values. Through the brokerage of a Muslim dentist called Essawy, he signed a document saying he was a faithful Muslim (Pgs. 276 ff.) and later included an account of his “conversion” in the first edition of his book of essays Imaginary Homelands. Of this he is now ashamed, but it would take a very censorious person indeed to judge him negatively for acting as he did in the circumstances. On the whole, his commitment to the principle of “freedom of speech” held firm, and meant he would even endorse the freedom to say things he personally judged obnoxious. An inept Pakistani film called International Guerrillas presented Rushdie as a debauched villain trying to corrupt Muslim youth and ended with him being literally smitten by God’s wrath. British censors banned it as defamatory. Rushdie urged them to un-ban it, promising that he would not sue or cause any legal problems for the film’s British release. The censors duly un-banned it and – to Rushdie’s satisfaction – the film sank without trace in Britain. As Rushdie correctly notes, to ban it would have made it a prized bootleg item among Muslim youth in Britain. Un-banned, it was just another crap film. Derrida’s view is at least worth considering even if, once again, we would have to be very censorious indeed to criticise Rushdie for rejecting it, given his situation. I would add, too, that Rushdie often becomes strident over negotiations where political leaders of the West tried to calm down Islamist leaders of Iran by making conciliatory gestures to them. In Rushdie’s view, this was mere dancing with the Devil. A certain blindness overcomes him in such passages. It is possible to support freedom of speech while striving to keep the international peace, but Rushdie does not concede this point. I think this blindness also informs those passages where he is scathing about religious leaders (the Archbishop of Canterbury etc.) who said they ‘understood’ Muslim feelings of outrage while, of course, not endorsing the fatwa. A similar stridency appears in the passage where his mother told him that she was praying for his welfare, and he rebuked her, saying that those who pray “are not on our team”. There are times when his division of the world’s ideas into black and white is as simplistic as the clerics who condemned him. Thus far I have deliberately stuck to the core ideas of Joseph Anton, at least in part because I want to make it clear that Rushdie’s cause was and is an honourable one and he deserved the support he won from many people in the years when he was under threat. However, I am reviewing a book, not endorsing an ideological manifesto, so it’s now necessary to get on with the text itself, which is a lot bumpier and harder to swallow than Rushdie’s core ideas are. I am reviewing the book, not the man; but it is hard not to see considerable vindictiveness in such passages. And it is hard not to make some judgements on Rushdie regarding his treatment of various women as chronicled in these pages. He split from his first wife Clarissa, the mother of his son Zafar, after 12 years, because of his infidelities. He was married to the American novelist Marianne Wiggins at time the fatwa was declared. The marriage lasted little over a year. In this book he consistently presents Wiggins as a neurotic, opportunistic air-head. He fell in love with, and had an affair with, Elizabeth West while married to Wiggins. He later married West and had a son, Milan, by her. Later he split from West and had a long-running affair with the Indian supermodel Padma. All this Rushdie tells us himself in Joseph Anton, not even sparing us the details of his one-night stands (see Pg.486). I admit such writing makes me uncomfortable, not only because of the implicit boasting about his sexual prowess that is involved, but because experience tells me always to be wary when I hear only one side of any marriage from a divorced or separated person. It is notable that Rushdie speaks far more respectfully of Clarissa and Elizabeth, the mothers of his two sons, than he does of the other women in his life. His ongoing love and affection for Zafar and Milan are exemplary and, as far as the novelist’s private life is concerned, are the things I find most to like about him in Joseph Anton. More understandably, he unleashes his fury on those who attacked The Satanic Verses on literary grounds once the fatwa was in force - George Steiner, Auberon Waugh, Richard Ingrams, Bernard Levin (Pg.148). Roald Dahl called him an “opportunist”. The Prince of Wales said Rushdie should undo the “harm” he had done (Pg.252). He notes “There was a vicious attempt… to accuse him of spiteful abuse …. (written by Christopher Cockburn, one of the great contemporary masters of spiteful abuse).” (Pg.391). He lists carefully those people who said he was self-interested and a twerp who wrote either for the money or the fame - Kingsley Amis, Al Alvarez, Germaine Greer, John Le Carre, Elizabeth Jane Howard, Sybille Bedford. (Pg.396). Later John Berger and Norman Tebbitt join this list. He expected the Daily Mail to carp about the expense to the British taxpayer of protecting him; but he is particularly angry about the Independent for giving so much column space to his opponents. Throughout Joseph Anton, there is a certain ambiguity about the police protection squad that surrounded Rushdie. He is grateful to them. He praises them. Though they were very different men from Rushdie himself, he got on well with some of them. But he often feels constrained and constricted by his situation and police assessments of the security risk, which often led them to deny him the freedom to attend various public events. So there is also more carping about the police than one would expect. The text is filled with praises for those distinguished literary and political people who offered him moral and practical support - Edward Said, Carlos Fuentes, Nadine Gordimer, Gunter Grass; Vaclav Havel, Michael Foot, Melvyn Bragg; Margaret Drabble and her husband Michael Holroyd; and Harold Pinter, who read publicly Rushdie’s lecture “Is Nothing Sacred?” when it was too dangerous for Rushdie himself to make an appearance. (Though later Rushdie does slap Pinter on the wrist for blustering and talking over other people at a dinner party). It sounds uncomfortably like a mutual admiration society when he meets Gabriel Garcia Marquez (Pg.472) and they get to tell each other how much they love each other’s work. Then the book literally becomes Bradford’s Hollywood once he gets to passages on staying in Los Angeles with his model-girl girlfriend and gushing about having dinner with Warren Beatty etc. Like this over-long review, Joseph Anton sometimes burbles on inanely as Rushdie luxuriates in being a celebrity among celebrities. This story reflects well on both Eco – for his magnanimity – and Rushdie. After all, Eco’s writings really are “bullsheet”. Time to sum up pithily. At his best, Rushdie is an astute commentator in Joseph Anton. He states his case well and he records the key events of his difficult years in detail. In all this he has the reader’s sympathy. But, whatever his theoretical reason for adopting it, the third person voice too often sounds sententious or pompous. Rushdie tells us about the genesis, in the fatwa years, of his novels The Moor’s Last Sigh and Fury as if they are self-evidently great works of art. He can do this only because he is writing in the third person – which is one reason why he should have written in the first person. Then there is the detailed-settling-of-scores factor. And the gushiness about friends and supporters which sometimes borders on the fulsome (in the real sense of the word). And the twittering about the celebrity world. And the fact that Joseph Anton simply goes on too long and could have benefited from a rigorous edit. Like this review, it should be about half the length it is. In short, this is a book fascinating and flawed in equal measures, and certainly the work of a great egotist. But then – as my reading of Simon Callow’s recent biography of Charles Dickens seems to have confirmed to me – maybe full-blown egotism is one of the qualifications for being a good novelist.